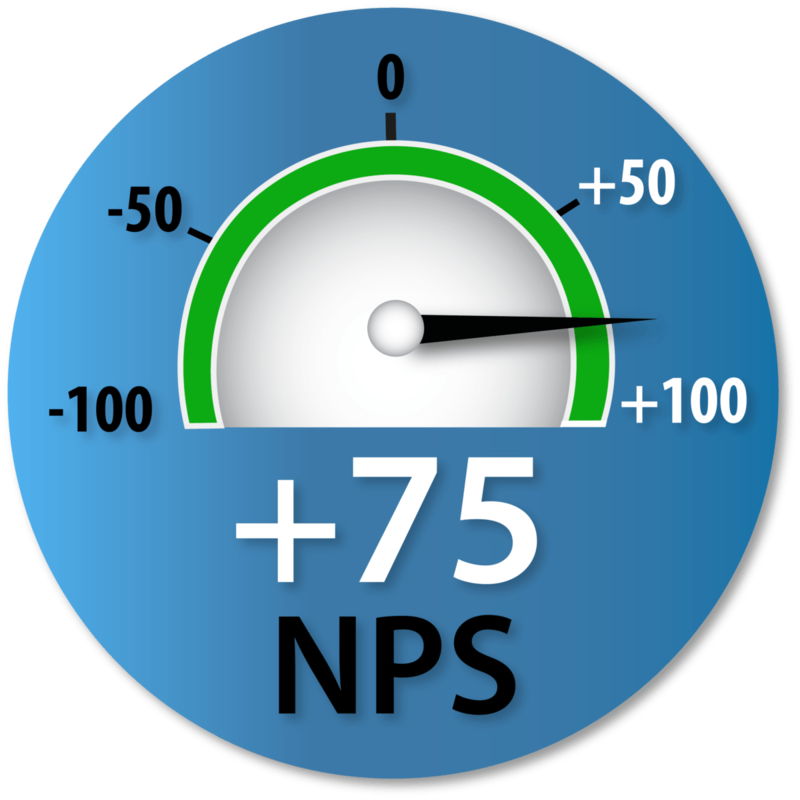 Home / Blog / What is an NPS® Score and Why Should you Care? Although many companies in multiple industries rely on NPS scores, it’s not as common in our industry, so here’s an explanation of what NPS is all about, and why you should care – and understand why we are so pleased with the scores we’ve received. The Net Promoter Score was co-created by Satmetrix and Fred Reichheld of Bain & Company, and was first introduced in 2003 in an article in the Harvard Business Review. It is intended to objectively measure the relationship between a company and its customers. NPS is considered to be the most accurate measurement of the customer experience, and has been adopted by more than two-thirds of Fortune 500 companies as well as other organizations throughout the world. The NPS index assesses Detractors, those who do not recommend a company; Promoters, which are those people who have had a good experience and feel positively toward a company; and Passives, who are neutral. In calculating the total score, the percentage of customers who are Detractors are subtracted from the percentage who are Promoters. Passives count toward the total number of respondents, effectively pushing the score toward a neutral 0. In other words, it’s theoretically possible to get a -100 (all Detractors) or a +100 (all Promoters). Although it’s unlikely that any company has received these extreme scores, NPS scores in the negative numbers are common, and anything above 0 is considered to be good. Scores above +50 are looked at as excellent. There are many others, but it’s rare to find a company scoring higher than +60. No wonder we’re so proud of the scores we’ve attained – it puts Crawford Technologies in the realm of a handful of the most respected companies in the world! Although we’re a much smaller company than those listed above, we bring the same commitment to ensuring a rich and positive customer experience. Delivering high quality solutions that solve real-world business problems in conjunction with consistently providing excellent pre and post-sales support from experienced and committed professionals is something we take seriously. It’s an integral part of CrawfordTech’s DNA, and we expect to continue this tradition into the future.